Are you one of the 125 million Fortnite players asking: when is Fortnite Season 6 out? We are one of you! Epic games Fortnite Season 5 is about to end and everybody’s itching for Fortnite Season 6. That’s why we give you the latest news, information, rumors, and leaks in Fortnite Season 6. So let’s begin our countdown to the new challenges now! When Is Fortnite Season 6 Out? If we based on the Battle Pass countdown, Season 5 should end by September 17, 2018. Looking back in the previous Fortnite games, the new season starts immediately after one ends. With this information, we can say Fortnite Season 6 release date will be on September 18,2017. However, Fortnite: Battle Royale Leaks tweeted that Fortnite Season 5’s ending extends until at least October 3. So it means, Fortnite Season 6 begins Wednesday October 3, 2018. What to expect from Fortnite Season 6? To start with, obviously, you’ll need a brand new Fortnite Battle Pass. You may want to save for that as you have few more weeks left. If there are no changesin price, the Season 6 Battle Pass will cost you 950 V- Bucks or around $10 USD. You can save real money or get yourself as many V-Bucks as you can through world missions. We also expect at least 100 tiers or more following Fortnite previous season patterns. Epic games just keeps on expanding and adding more to the Fortnite game world. Another significant item to watch out for in Fortnite game Season 6 is the Purple Cube bouncing around the map now in Season 5. The cube causes unexplainable effects in the game. Based on in game files, the Cube’s final location will be at the Lake which can be the Loot Lake or other Lakes in the map. Some leaks say it would be at the Bunker in the woods. Another possibility is at Retail Row since it remained untouched from the beginning. Either way, aliens could be coming to Season 6. The ultimate Fortnite Season 6 rumor is Purple Cube’s relationship to the Tilted Tower that it would finally be destroyed. 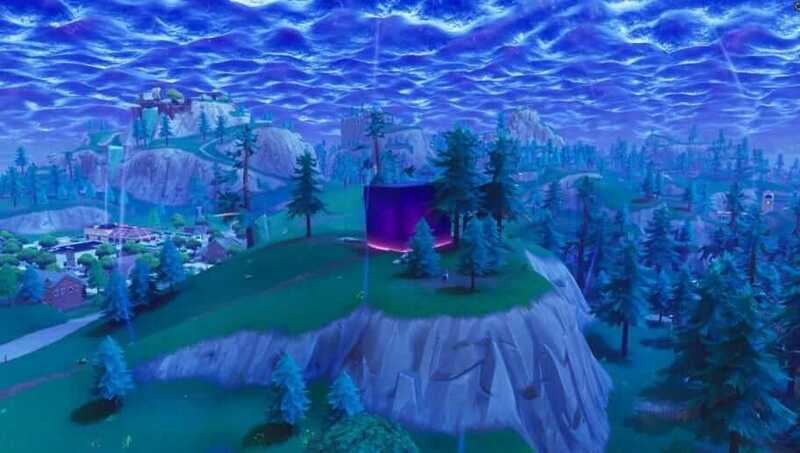 Every Fortnite season something would seem to destroy it from aliens to meteors and now people speculate it would be the Purple Cube. This rumor is based on the analysis on the runes Purple Cube leaves as it travels in the map. Some genius player took all the runes and put them together. He discovered runes shows streets and blueprints of Tilted Towers. So there’s so much to look out for the Tilted Tower’s fate in Season 6. Again, all of this news and rumors will come to reality when is Fortnite Season 6 out this October 3. For now, let us all enjoy the remaining weeks of Season 5 and prepared for the next. If you have more information about Fortnite Battle Royale Season 6, share them with us!